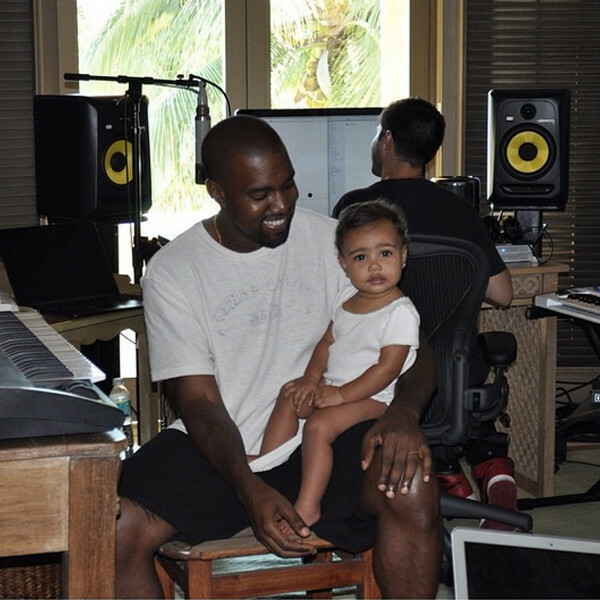 Kim Kardashian Instagrammed an adorable photo Monday of her 1-year-old mini-me sitting on dad Kanye West‘s lap in a recording studio, captioning it, #BringYourDaughterToWorkDay as celebration of father’s day. Honestly folks, I’m not the biggest Kanye West fan but after seeing this pic of him bonding with baby north I can’t help but have a soft spot for him. Kim K who was admiring this touching moment mentioned to West: “The way you love our daughter and protect her makes me filled with so much love!” she wrote. « Alicia and Swizz expecting baby no.2!